How many of us who regularly used Preston Library or walked past it, knowing that we could drop in to borrow a book or DVD, read a paper, use a computer, study or read undisturbed, or enjoy all the cultural, social and essential activities that were hosted in the facility? The loss of the library left a gaping hole in the heart of our community and deprived residents, young and old, and students of a vital service. However, Brent Council has now promised to donate the Preston Library property to the local community to operate a volunteer-run library service. The Friends of Preston Library, who have been campaigning against the closure of our library, and Preston Community Library, which has been offering book-lending and other services in the absence of a council-funded library, are delighted to be given the opportunity to restore and enhance the facilities offered by the Preston Library project. This is great news for the community. Sign up to our mailing list and follow us on Twitter and on Facebook to see how you can get involved with the reopening of Preston Library. The Friends of Preston Library have been awarded funding from Brent Council’s Ward Working Fund to run events at the old Preston Library Building in Carlton Avenue East [currently a temporary school]. The draft programme of events will include events for children, such as readings, story-telling and activities, talks on topics of more general interest, events of interest to older members of the community, on topics such as family history or IT access or speakers on topics of specific interest to particular local groups. The community hub is currently operating on Monday early afternoons offering a writers group, newspapers, a scrabble group and English conversation for those for whom English is a second language. 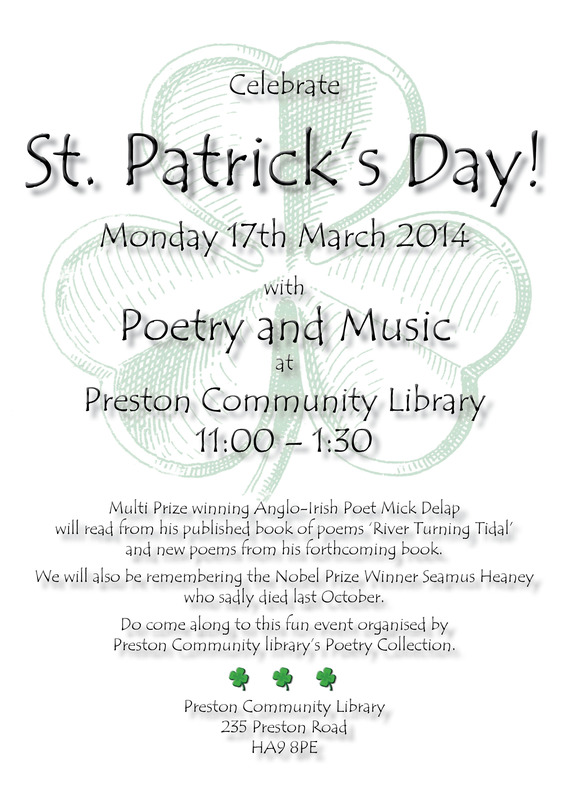 MONDAY: St Patrick’s Day-Mıck Delap prızewınnıng Irısh poet event. 11am to 1.30pm at 235 Preston Rd. 17 March 11am to 1.30pm at 235 Preston Rd. 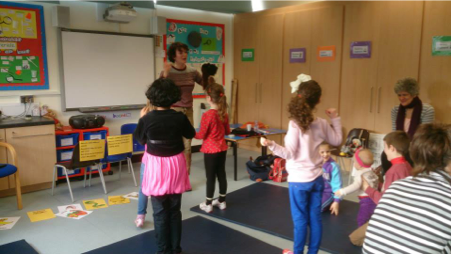 Comments Off on MONDAY: St Patrick’s Day-Mıck Delap prızewınnıng Irısh poet event. 11am to 1.30pm at 235 Preston Rd. 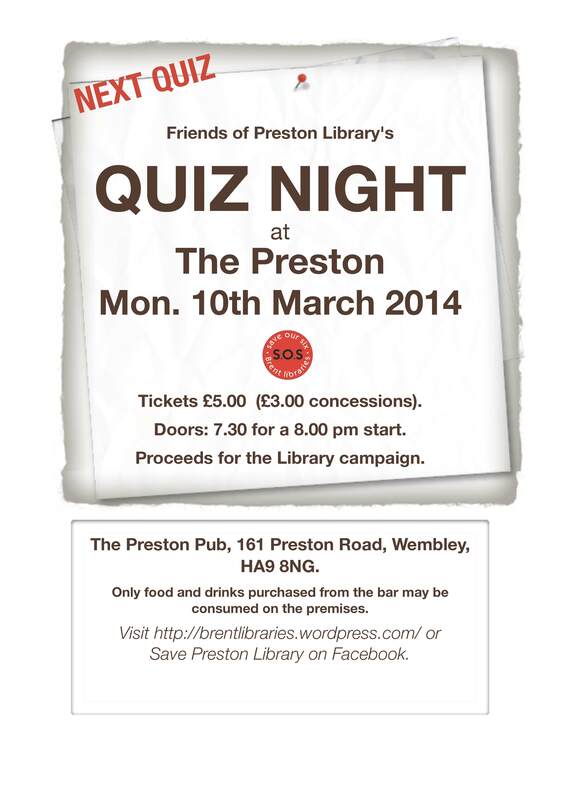 Come along for another fun-packed evening. Bring your team mates and pit your wits!